100% Contingent Fee. We only charge an attorney fee if we are successful in obtaining our clients a recovery. We pay all litigation expenses, and get reimbursed for those only if we are successful in getting our clients a recovery. The Stewart Law Firm only handles catastrophic injury, wrongful death, defective product, and child sexual abuse cases. Stephen W. Stewart is the founding member of The Stewart Law Firm in Austin, Texas, a national trial firm dedicated to serving victims and family members who have been injured, harmed, or killed by the negligence of others or by defective products. 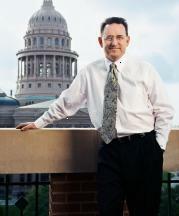 Prior to founding The Stewart Law Firm, Stephen Stewart was an attorney for the prominent Austin, Texas law firm of Clark, Thomas & Winters, P.C. where he worked exclusively with large corporate manufacturers of automobiles, aircraft, commercial vehicles, and industrial/construction equipment defending product liability claims in both state and federal courts in multiple states and jurisdictions. Currently, Stephen W. Stewart only represents victims, utilizing his years of defense experience and his knowledge, skill, and training to go toe-to-toe with the most major of corporations and manufacturers in his constant goal to remain steadfast in the pursuit of justice for victims. Stephen W. Stewart handles cases involving catastrophic personal injury, wrongful death, and defective products. The cases handled by The Stewart Law Firm include: defective automobiles; aircraft defects; defective child seats; defective consumer goods; commercial truck collisions; workplace/industrial injuries; oilfield injuries; premises liability; injuries to children/molestation; railroad crossing litigation; mass torts; fraud claims; and insurance bad-faith claims.